The storm has passed and is moving up to the north. I hope they are as fortunate as I, with minimal damage. I want to thank everyone for their comments. My class reunion is this weekend and will be posting on how that works out next week - Stay tuned. Should be interesting. 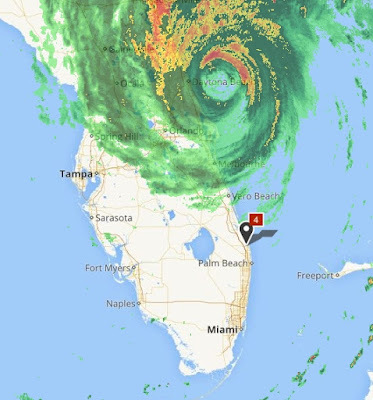 Glad that the Palm Beach area was spared. Lets stand by and hope the storm stays out to sea. Glad to hear you are safe and sound. Lets hope everyone else effected by this hurricane is too.